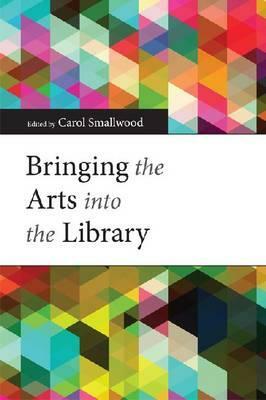 In the 1960s, Carol Smallwood began her illustrious career in the fields of library science and education in the rural community of Pellston, Michigan. Drawing on her experiences as a librarian and media consultant, Smallwood birthed a second career as a writer and editor in the 1980s. 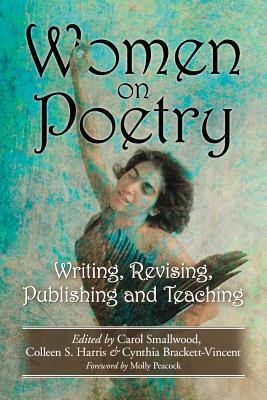 Women on Poetry: Writing, Revising, Publishing and Teaching (2014), which appears on the list of Best Books for Writers by Poets & Writers Magazine, is one of over 40 books that she has edited. She recently edited Bringing the Arts into the Library (2012), and is a National Federation of State Poetry Societies award winner. Smallwood's poetry and prose have appeared in several literary journals such as Boston Poetry Magazine, Poetry Quarterly, and Tipton Poetry Journal. Literary Mama contributor Gina Consolino-Barsotti conversed via email with Smallwood to find out more about her writing and editing journey. Gina Consolino-Barsotti: Please tell us about your career trajectory and how this led you to becoming an editor? Carol Smallwood: My first edited book, published in 1980, came about from teachers asking me as a librarian for more materials on Michigan Week. I'd found some information and they wanted more so I explored and found them additional free educational materials. It was such an enjoyable experience that I kept looking for other materials relating to Michigan and there were so many great resources I decided they should be shared. I sent a query to a publisher dealing with Michigan materials for educators and subsequently published: "Free Michigan Materials for Educators" (1980, 1986) and Free Resource Builder for Librarians and Teachers (1985, 1992). 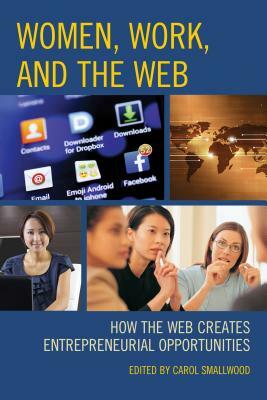 Women, Work, and the Web: How the Web Creates Entrepreneurial Opportunities (2015) is my latest edited work. GCB: Have writing and editing always been a piece of the figurative quilt of your life? If so, did you envision that writing/editing would prove to be an integral part of your professional development? CS: As soon as I learned to read and write, there was a fascination with words: They had power. Children feel somewhat powerless when they are young so it must've been that writing gave me a feeling of power. I started writing in diaries when in grade school and have kept them going. No one encouraged me to write but I had an aunt who read me stories and it impressed me that she found reading fun. I remember sending a story to a children's magazine when I was ten. It was in the back of my mind that writing was what I wanted to do, but how I was to do it I had no idea. It was something far away, a dream, and I still do not feel I have arrived at what I'm supposed to do. GCB: How has writing impacted the mother, editor, teacher, librarian, and writer in you? CS: Today women have to make hard choices. There are times when I reflect on the times of my grandmother with a bit of envy when women did not have so many roles. Writing has given me an outlet, a way to get perspective, so I can help my children. It is mine and because it is mine, I have more of me to share. Having to decide whether it was best to stay within an abusive marriage or break up a family is a question that still haunts me, but at least I am alive. I am not sure if I would be otherwise. Deciding what is important and what isn't and how much to give to children are ongoing questions. Throughout, writing has remained a lodestar, a mainstay, a guide. GCB: How did you manage to incorporate writing and editing into your daily routine amidst your plethora of roles? Would you recommend future mother-writers participate in a writing group? CS: Writing has been essentially solo for me so I cannot say what routine other mother-writers should have. I remember getting up at 3:30 in the morning to write before going to work because I wanted to succeed. Now, I write as soon as I get up in the morning and after going out for lunch and errands until dinner; sometimes at night if I need to meet deadlines. More and more, though, I realize that writers do most of their work when not actually writing: thinking is where it boils. The subconscious is the mother of it all. Some of my best ideas surface when driving. GCB: Mothering, teaching, and editing are all roles where one guides and mentors another with the hope of encouraging him/her to grow and flourish. Tell us about commonalities of being a mother, teacher, and editor. CS: Mothers and teachers want the best for children. They have the advantage of experience to guide. Editors are gatekeepers, they manage what enters. It requires experience, knowledge, discipline: I think it is similar to motherhood, as both need a wide view. GCB: If you had the opportunity to edit a book with your favorite women writers of all time, who would you include and why would you include them? Are there any specific prosaic passages or poems that spoke to you specifically as a woman, writer, and mother? GCB: What have you learned from your experiences over the years that you would like to share with other writers and editors? CS: After editing over four dozen books, I've learned that one doesn't run out of ideas: the more one does, the more that comes to mind. Don't save what you've written out of fear that other writing will not come: Send it out into the world; let it go as if it was one of your newly grown children. Expect rejections. Brush yourself off and try again. If writing was easy, one wouldn't enjoy the feeling of triumph when acceptances come. GCB: This year has proven to be a very successful year for you. What kind of projects can we expect to see from you in 2016? CS: I'm writing essays and I hope to have a collection published. I didn't think I could do poems or fiction (again) and needed a new challenge. Now I'm anxious to see how I can stretch myself to write creative nonfiction. Perhaps I expect too much. I not only want to have acceptances in journals, but to have a collection out in book form. The librarian in me enjoys sending my books to libraries. I just wrote a piece on Chick Lit that was accepted by The Journal of International Women's Studies. Validation like this provides a lot of encouragement! Additionally, two more anthologies will be coming out in 2016 for Rowman & Littlefield. One of these is on using volunteers in libraries. The other is providing financial literacy to patrons. Love hearing her wisdom = particularly her envy of her grandmother not having so many roles, and that ideas keep coming ideas as opposed to running out of work.